As Plasdŵr grows, we’re continuing to forge relationships with communities and organisations which reflect our 21st century garden city ethos. We’ve met with schools, community groups, charities and local businesses, and most recently we have engaged with Chwarae Teg, an organisation in Wales which supports the economic development of women. Translated in English to Fair Play, Chwarae Teg runs projects, campaigns and events to champion women and encourage them to establish careers in male dominated industries such as construction, something which master planner Redrow and Plasdŵr feel passionately about. Our community liaison manager Katie Powis recently met with the team at Chwarae Teg to explore ways in which Plasdŵr can support them over the next 20 years of construction – so watch this space. Already there are a host of opportunities from partners such as master planner Redrow’s which has a Women’s Network encouraging and mentoring women into the industry. We hear from Jessica Owen, an integral part of the Plasdŵr development team, about her journey into a career in construction. “Inspired by my dad who started as a carpenter at 17 years old and went on to be a building inspection manager for NHBC, I joined Redrow through the Rotational Graduate Scheme in 2016. “I was actually pleasantly surprised when I saw a room full of female applicants at my assessment day. The rotational scheme is a great opportunity to gain exposure to all parts of the business; land, technical, construction, commercial, sales and customer service. The nature of scheme is that it shows the variety of roles and opportunities that are available within the housebuilding industry for all sexes. “In my year’s cohort there was a 50/50 split of female to male graduates of which all female graduates secured permanent positions across all disciplines, myself included. This demonstrates the changes being made within the construction industry and a commitment to ensuring females are well represented across all areas of the business. 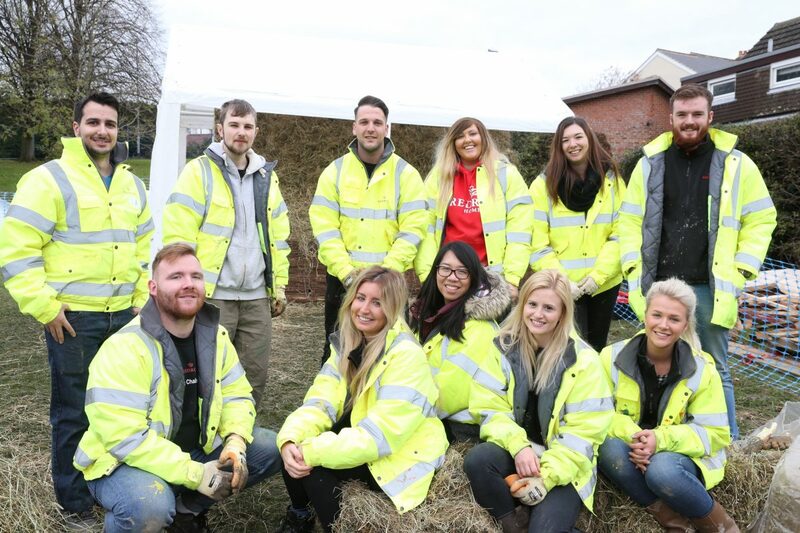 “Since finishing the graduate scheme in 2018 I have secured a permanent position with Redrow Homes working as a Project Coordinator on the Plasdŵr project, the largest mixed-use development in Wales. “Although the industry is predominantly male dominated, there is definitely a shift towards recognising women as equal counterparts for all job roles across the business.